Calcium deficiency in Kenya. What About Egg Shells? 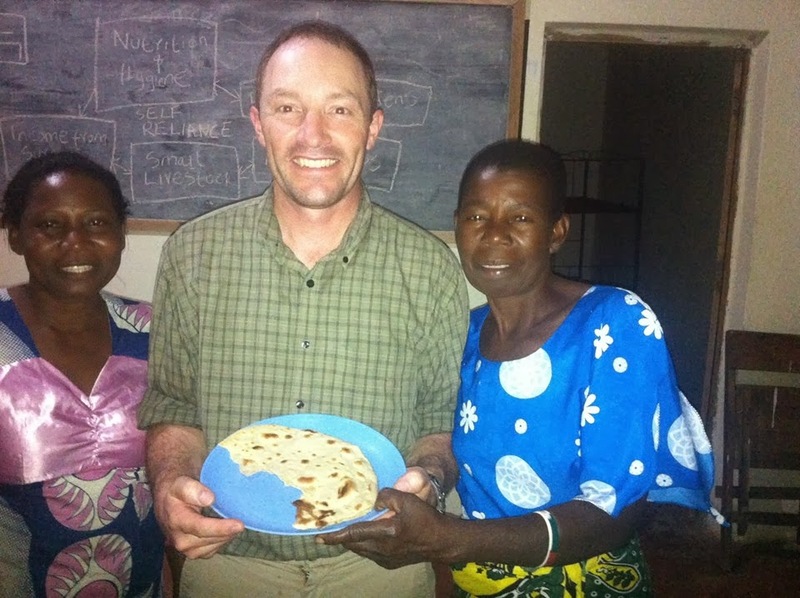 Dr. Paul Johnston with the BYU Nutrition, Dietetics & Food Science, analyzed the diets of the children in a rural Kenyan school. He found them very calcium deficient. He also observed pregnant women in the area chewing on rocks. He took some of these rocks back and found that they had a small amount of calcium in them. This confirmed his suspicion that the women also had calcium deficient diets and chewed on rocks to get calcium into their diet. There are not many good sources of calcium in these rural villages. We have taught them to grow vegetables to improve their diets, but they still lack calcium. At the schools we have brought in milking goats to supply calcium rich milk to be mixed with their porridge but having a goat is more than most people can afford. Emily and Ega cooked a chapati (flour totilla) for me with ground egg shell. We evaluated all of their resources and found that a calcium source readily available in their area is egg shells. After discussing the issue with Dr. Johnston and doing some additional research, we concluded that the egg shells could be used as a calcium supplement for their diets. I decided to do a little experiment and include egg shells into my diet. I asked Emily, our cook, to clean and grind to powder an egg,shell and then add it to chapati, a local tortilla type food. She thought that I was crazy, but agreed to try it after I explained why I was doing it. We found no difference in the flavor of the chapati but we did notice a little grainy texture. I concluded that eggshells could work very well as a calcium supplement mixed with the local food. We went to the village of Mkanyeni and explained the need for calcium in their diets and especially in the diets of their growing children. I told them that they were throwing away a very good source of calcium. This got their attention. They were skeptical when I first introduced the idea of using the egg shells. I suggested that they do a community experiment and half of the village eat them for six months while the other half did not. As added encouragement I told them that if it was going to be a valid trial, then the ones that did not eat the egg shells would have to wait to the end of the six month period even if they see the other group's children growing stronger than their own. I don't really care about the validity of the experiment, I just want them to improve their lives and thought that implanting the image of having stronger children in their minds would give them the motivation to actually do it. I am anxious to see if this simple solution will catch on and solve the issue of calcium deficiency in these rural areas. Simple solutions are of no value unless they are implemented.